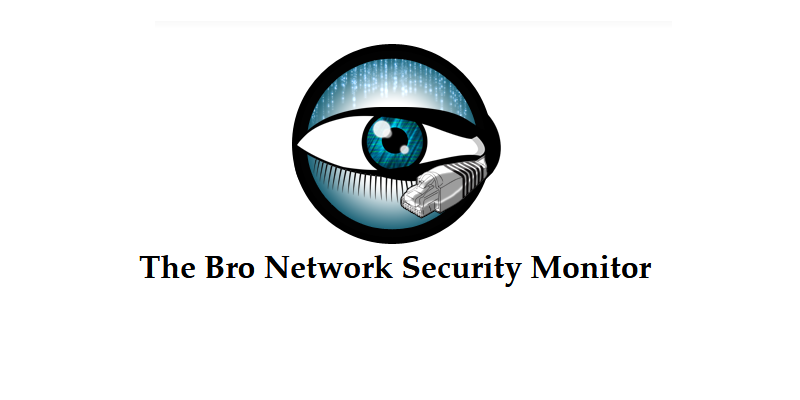 Bro is an open-source network analysis framework and security monitoring application. It brings together some of the best features of OSSEC and osquery into one nice package. Bro may be installed from source or via a package manager. Installation from source is more involved, but it is the only method that supports IP geolocation, if the geolocation library is installed before it's compiled. Installing Bro makes additional commands like bro and broctl available to the system. bro can be used for analyzing trace files and also for live traffic analysis; broctl is the interactive shell and command line utility used to manage standalone or distributed Bro installations. This article will take you through the steps to install Bro from source on Ubuntu 16.04 in standalone mode. An Ubuntu 16.04 server with a firewall and non-root user account with sudo privileges configured. Because we'll be performing some tasks that require extra RAM, you'll need to spin up a server that has at least 1 GB of memory. Postfix installed as a send-only mail transfer agent (MTA) on the Ubuntu server. An MTA like Postfix has to be installed for Bro to send email alerts. It will run without one, but emails will not be sent. Before you can install Bro from source, you need to install its dependencies. First, update the package database. Failure to do this before installing packages can lead to package manager errors. Bro's dependences include a number of libraries and tools, like Libpcap, OpenSSL, and BIND8. BroControl additionally requires Python 2.6 or higher. Because we're building Bro from source, we'll need some additional dependencies, like CMake, SWIG, Bison, and a C/C++ compiler. After that installation has completed, the next step is to download the databases that Bro will use for IP geolocation. Here, we'll download a GeoIP database which Bro will depend on for IP address geolocation. We'll download two compressed files containing an IPv4 and an IPv6 database, decompress them, and then move them into the /usr/share/GeoIP directory. Note: We're downloading a free legacy GeoIP database from MaxMind. A newer IP database format has since been released, but Bro does not have support for it yet. Download both the IPv4 and IPv6 databases. Decompress both files, which will place two files named GeoLiteCity.dat and GeoLiteCityv6.dat in your working directory. Then move into the appropriate directory, renaming them in the process. With the GeoIP database in place, we can install Bro itself in the next step. To install Bro from source, we'll first have to clone the repository from GitHub. Git is already installed by default on Ubuntu, so you can clone the repository with the following command. The files will be put into a directory named bro. Change into the project's directory. Run Bro's configuration, which should take less than a minute. Then use make to build the program. This can take up to 20 minutes, depending on your server. You'll see a percentage completion at the beginning of most lines of output as it runs. Once it finishes, install Bro, which should take less than a minute. Bro will be installed in the /usr/local/bro directory. Now you need to add the /usr/local/bro/bin directory into your $PATH. To make sure it's available globally, the best approach to accomplish that is to specify the path in a file under the /etc/profile.d directory. We'll call that file 3rd-party.sh. Create and open 3rd-party.sh with your favorite text editor. Copy and paste the following lines into it. The first line is an explanatory comment, and the second line will make sure /usr/local/bro/bin is added to the path of any user on the system. Save and close the file, then activate the changes with source. Artifacts from old settings tend to persist, though, so you can additionally log out and log back in to make sure that your path loads properly. Now that Bro is installed, we need to make some configuration changes for it to run properly. node.cfg, which is used to configure which nodes to monitor. networks.cfg, which contains a list of networks in CIDR notation that are local to the node. broctl.cfg, which is the global BroControl configuration file for mail, logging, and other settings. Let's look at what needs to be modified in each file. To configure the nodes Bro will monitor, we need to modify the node.cfg file. Out of the box, Bro is configured to operate in standalone mode. Because this is a standalone installation, you shouldn't need to modify this file, but it's good to check that the values are correct. Under the bro section, look for the interface parameter. It's etho0 by default, and this should match the public interface of your Ubuntu 16.04 server. If it's not, make sure to update it. Save and close the file when you're finished. We'll configure the private network(s) that the node belongs to next. The networks.cfg file is where you configure which IP networks the node belongs to (i.e. the IP network of any of your server's interfaces that you wish to monitor). To start, open the file. By default, the file comes with the three private IP blocks already configured as an example of how yours need to be specified. # For example, "10.0.0.0/8" or "fe80::/64" are valid prefixes. Save and close the file when you're finished editing it. We'll configure mail and logging settings next. The broctl.cfg file is where you configure how BroControl handles its email and logging responsibilities. Most of the defaults don't need to be changed. You'll just need to specify the target email address. Under the Mail Options section at the top of the file, look for the MailTo parameter and change it to a valid email address that you control. All Bro email alerts will be sent to that address. # Recipient address for all emails sent out by Bro and BroControl. Save and close the file when you're finished editing it. This is all the configuration Bro needs, so now you can use BroControl to start and manage Bro. BroControl is used for managing Bro installations — starting and stopping the service, deploying Bro, and performing other management tasks. It is both a command line tool and an interactive shell. You can exit the interactive shell with the exit command. From the shell, you can run any valid Bro command. The same commands can also be run directly from the command line without invoking the shell. Running the commands at the command line is often a more useful approach because it allows you to pipe the output of a broctl command into a standard Linux command. For the rest of this step, we'll be invoking broctl commands at the command line. First, use broctl deploy to start Bro and ensure that files needed by BroControl and Bro are brought up-to-date based on the configurations in Step 4. You should also run this command whenever changes are made to the configuration files or scripts. Then redeploy Bro with sudo /usr/local/bro/bin/broctl deploy. You can check Bro's status using the status command. If you need to restart Bro, you can use sudo /usr/local/bro/bin/broctl restart. Note: broctl restart and broctl deploy are not the same. Invoke the latter after you change the configuration settings and/or modify a script; invoke the former when you want to stop and restart the entire service. Next, let's make the Bro service more robust setting up a cron job. Bro's cron command is enabled out of the box, but you need to install a cron job that actually triggers the script. You'll need to first add a cron package file for Bro in /etc/cron.d. Following convention, we'll call that file bro, so create and open it. The entry to copy and paste into the file is shown next. It will run Bro's cron every five minutes. If it detects that Bro has crashed, it will restart it. You can change the 5 in the command above if you want it to run more often. Save and close the file when you're finished with it. When the cron job is activated, you should get an email stating that a directory for the stats file has been created at /usr/local/bro/logs/stats. Be aware that Bro has to actually crash (i.e. be stopped unceremoniously) for this to work. It will not work if you stop Bro yourself gracefully using BroControl's stop. To test that it works, you'll either have to reboot the server or kill one of the Bro processes. If you go the reboot route, Bro will be restarted five minutes after the server has completed the reboot process. To use the other approach, first get one of Bro's process IDs. Then kill one of the processes. The output will show that it has crashed. Invoke that same command a few minutes minutes later, and the output will show that it's running again. With Bro working fully, you should be getting summary emails of interresting activities captured on the interface about every hour. And if it ever crashes and restarts, you'll receive an email stating that it started after a crash. In the next and final step, let's take a look at a couple of other major Bro utilities. bro and bro-cut are the two other main commands that come with Bro. With bro, you can capture live traffic and analyze trace files captured using other tools. bro-cut is a custom tool for reading and getting data from Bro logs. The command used to capture live traffic with bro are in the format sudo /usr/local/bro/bin/bro -i eth0 file.... At a minimum, you have to specify which interface it should capture traffic from.file... refers to policy scripts that define what Bro processes. You don't have to specify a script or scripts, so the command can also look like sudo /usr/local/bro/bin/bro -i eth0. Note: The scripts that Bro uses to function are located in the /usr/local/bro/share/bro directory. Site-specific scripts are in the /usr/local/bro/share/bro/site/ directory. Make sure not to customize the files in this directory other than /usr/local/bro/share/bro/site/local.bro, as your changes will be overwritten when upgrading or reinstalling Bro. Because bro creates many files from a single capture session to the working directory, it's best to invoke a bro capture command in a directory created just for that capture session. The following, for example, shows a long listing (ls -l) of the files created during a live traffic capture session. You can try running one of the capture commands now. After letting it run for a little bit, use CTRL+C to terminate the bro capture session. You can read each with bro-cut using a command like cat ssh.log | /usr/local/bro/bin/bro-cut -C -d.
This article has introduced you to Bro and how to install it in standalone fashion from source. You also learned how to install the IPv4 and IPv6 GeoIP databases from MaxMind that Bro uses for geo-locating IP addresses to city level. For this standalone mode of installation, you also learned how to modify relevant aspects of its configuration files, manage it with broctrl, use bro to capture live traffic and bro-cut to output and read the resulting log files.